NEWS BA’s Stansted Flights A Sell Out! 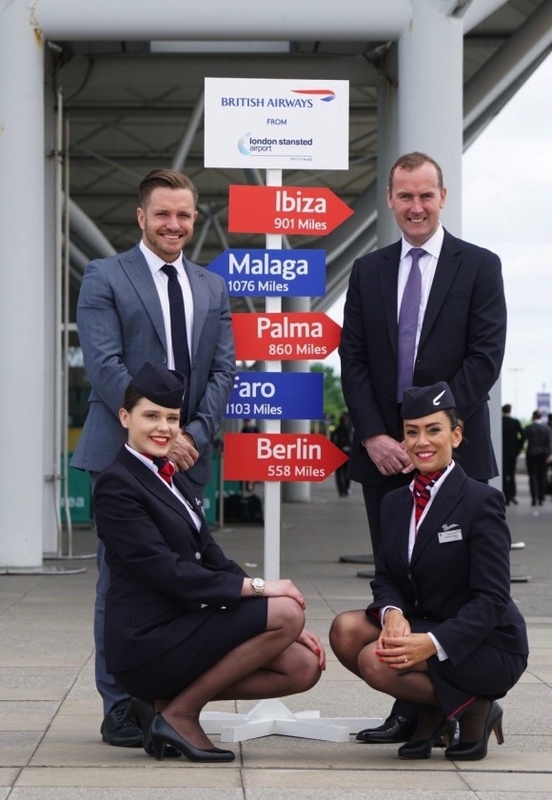 Celebrating the launch of flights to five new destinations are Luke Hayhoe (left) and Andrew Cowan with British Airways’ cabin crew Paulina Stasiak (left) and Danielle Bellini – Picture by BA. The flights are operated by the wholly owned British Airways subsidiary BA CityFlyer on modern, comfortable 98-seat Embraer 190 jets, which are usually based at London City Airport.